This year I thought it would be fun to look at the top artists of 2009. A top artist is a band or group that takes a step forward, doesn’t step in their own poo or makes a huge impact on the world of pop music. Here are the top artists of 2009. 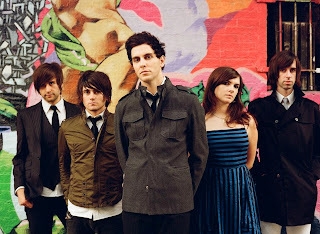 Cobra Starship: Made the largest jump of any artist in 2009. With one single (“Good Girls Go Bad”) the band became a household name and with support can continue their rise to the top of the pop circuit. Blink 182: Two words, comeback tour. Taylor Swift: Two additional words, country sells. Taylor did it right and did it with dignity. Her multi-platiunum album helped her sell out show after show and she only became stronger after her run in with Kanye at the Video Music Awards. Owl City: It does not get much better than this. Adam Young went from producing in his parents basement, to selling out his own headline tour. Beyonce: Also taking home classiest performer of the year, Beyonce showed once again why her and her management team comprise the best in the business. Lady Gaga: Can you say “what is she wearing?” We all can and that’s what she wanted. where is KoL? they had two huge singles and their album peeked at 4 while owl city only had one single and peeked at 8. biased much? The Truth About Music Picks Grammy Award Winners! !